More than 23 lakh people visited the book fair over the 12 days, compared to approximately 400,000 at JLF over its five days this year. For five days every January the Pink City of Jaipur becomes the centre of attraction as literary stalwarts from India and abroad assemble in huge numbers — spanning languages, genres and themes — to participate in the Jaipur Literature Festival (JLF). This has been happening for over a decade. The City of Joy, however, built a literary edifice of sorts this year as several prominent literary events were held in Kolkata coinciding with the JLF. The success of JLF, its expansion in major cities abroad, coupled with a touch of glamour while retaining the aesthetics of Indian heritage and languages, have fast propelled it into becoming the largest literary gathering of its kind. Held from January 24-28 this year, the “greatest literary show on earth” was preceded by Apeejay Kolkata Literary Festival (AKLF), which celebrated its 10th edition in grandeur. “It is clear that during the Apeejay Kolkata Literary Festival, Kolkata becomes a literary magnet. AKLF is the only literary festival in the country created by a bookstore, the nearly 100-year-old iconic Oxford Bookstore. “The people of the city are interested in books and reading a variety of genres ranging from classics to Pulitzer Prize winning titles and this was very evident from the audience and their interaction with authors at the festival,” Priti Paul, Director of Apeejay Surrendra group, which organises the festival, had told this correspondent on the sidelines of the festival. And then, barely two days before JLF kicked off, Nobel Laureate Venkatraman Ramakrishnan, who also delivered the keynote address at Jaipur, inaugurated the Tata Steel Kolkata Literary Meet. Among the prominent names who attended this year’s event were Man Booker Prize winner Yann Martel, beloved writer Ruskin Bond, historian Ramachandra Guha, singer Rekha Bharadwaj and legendary actress Shabana Azmi. The high-point of the festival was a glittering award ceremony at the Victoria Memorial Hall where the DSC Prize for South Asian Literature was awarded to Jayant Kaikini and Tejaswini Niranjana along with a unique trophy by Bond. Notably, the DSC Prize was earlier announced at JLF, after which it moved to other destinations, including the Dhaka Lit Fest last year, and Kolkata this year. “The nature of the prize is to be inclusive and the effectiveness is in announcing it all over South Asia. Being a social anthropologist myself I totally understand that the nuances in Rajasthan would be completely different from Kolkata. “The idea is to engage with as many people around South Asia as possible. Since Kolkata coincided with our calendar of the prize it only seemed natural when we were sent the invitation to participate to present it at the Kolkata lit fest,” Surina Narula, the co-founder of the DSC Prize, told IANS. 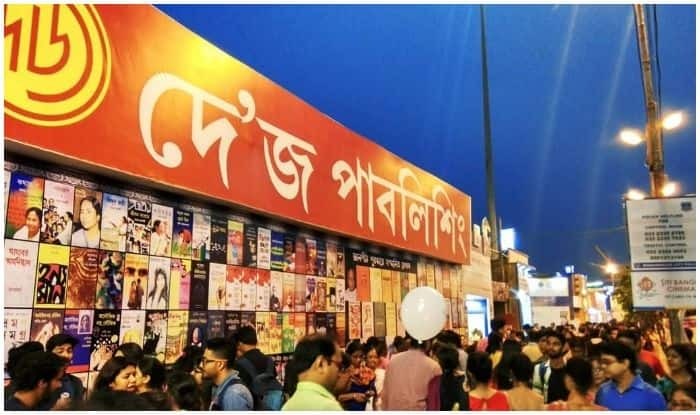 Even after the JLF concluded on January 28, Kolkata continued to be the “City of Joy” for bibliophiles, and hosted a 12-day-long International Kolkata Book Fair, which registered record sales of Rs 21 crore.